SBI News / Updates 2019: Here are some of the very important updates and news regarding recruitment drives being conducted by SBI - State Bank of India. The recent updated published related to the organization is - Sr. Executive Interview Schedule 2019. SBI Sr. Executive Interview Schedule 2019: State Bank of India issued the Interview Schedule for Sr. Executive Interview 2019. SBI Defence Banking Advisor Interview Schedule 2019: State Bank of India has announced Interview Schedule for Defence Banking Advisor Interview on 19 Mar 2019. SBI SCO Interview Schedule 2018: State Bank of India has announce the Schedule of SCO Interview 2018. SBI Deputy Manager Interview Schedule 2018: State Bank Of India has issued Interview Schedule for Deputy Manager Posts which will be held from 25 June 2018 to 2 July 2018 at State Bank of India, Corporate Centre State Bank Bhawan, Madam Cama Road, Nariman Point Mumbai , Maharashtra Pin - 400021. SBI Clerk Pre Exam Date Revised Notice 2018: State Bank of India has revised the exam date for the exam of 8301 Junior Associate (Customer Support & Sales) Posts (SBI) - CRPD/CR/2017-18/10. SBBJ New IFSC Codes After Merger with SBI (For All SBBJ Branches): It has been a confusion regarding IFSC codes & Branch Code changes for State Bank of Bikaner & Jaipur after its merger with State Bank of India. To resolve this issue and help users, State Bank of India (SBI) released few spreadsheet documents, which we've downloaded from SBI website and attached below for easy access. Mostly what we've noticed is that the new IFSC codes are the IFSC codes of the existing local SBI branch of that area in which earlier SBBJ branch existed. i.e New SBBJ IFSC Codes = SBI IFSC Code of Existing SBI Branch in that area. How to find Your SBBJ Branch IFSC Code? Type "Branch Name or Part of Branch Name" in search box. 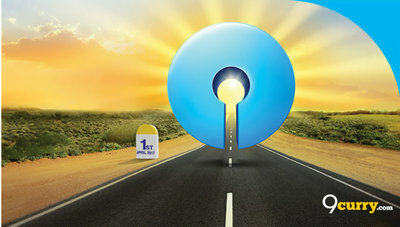 SBI Call Letters For Examination - Available Now! Call Letters For Examination made available now by SBI for Special Management Executives Recruitment exam to be held on 18 June 2017.